My friends and clients call me The Idea Man. Why? Because I have this innate ability to produce stories, marketing concepts, and copy for commercials off the top of my head within milliseconds! Is this some sort of superpower!? Or was I just dropped on my head as a child... Well whichever it is, the real reason behind my abilities may stem from a life of creativity. After succeeding as a cartoonist in my early 20's I went to college to pick up directing and lighting for theater. I soon combined drawing and production design into storyboarding for ad agencies. 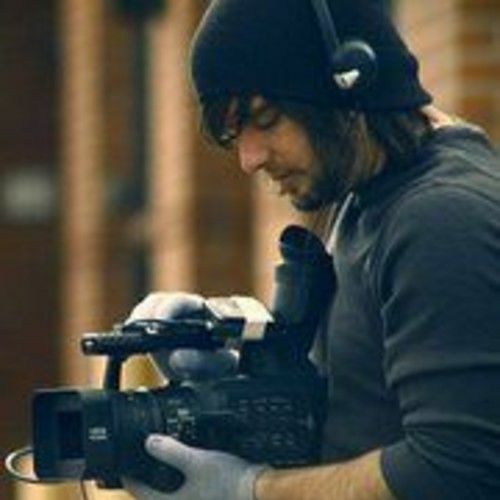 I then found myself in the production side of commercials and cooperate videos. That experience led me to coordinating and producing with Coldwater Media. I now freelance and work on my own side projects such as short films, featurettes, and music videos for Independent music artist around the United States. On my free time you may find me either drawing, writing, editing video, or updating facebook... what more is there to life?? ?